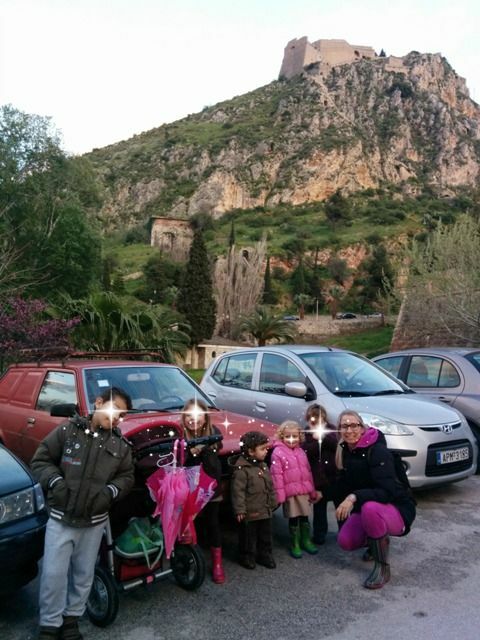 What can you see and do in Nafplion with young children? Let me inspire you with some of the highlights of our trip. Few places are as suitable as Nafplion is for a family day trip from Athens, a weekend escape or a winter – and summer vacation. Nafplion, the first capital of Greece, offers a great mix of adventure, culture, and relaxation for families all year round. Nafplion is one of the most romantic towns in Greece and its surroundings offer mountains, beaches, green parks, castles, world-famous ancient sites, museums, galleries, a car-free old town and lots of playgrounds. Nafplion is 138 kilometers away from Athens and can be easily reached by car and by public transportation. There is a large public (free of charge) parking in the port where you can leave the car and discover Nafplion by foot. Nafplion can also be an ideal starting point or home base to discover the rest of the Peloponnese. 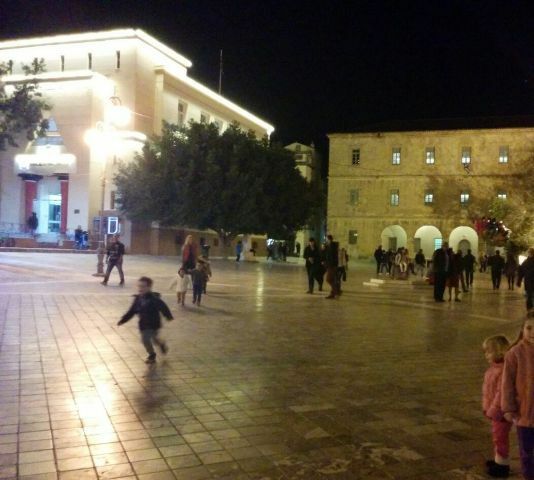 Further, Nafplion is cozy in wintertime and exotic in the summer. We often visit Nafplion for a day excursion, my most recent visit was during the Clean Monday weekend in February 2017. 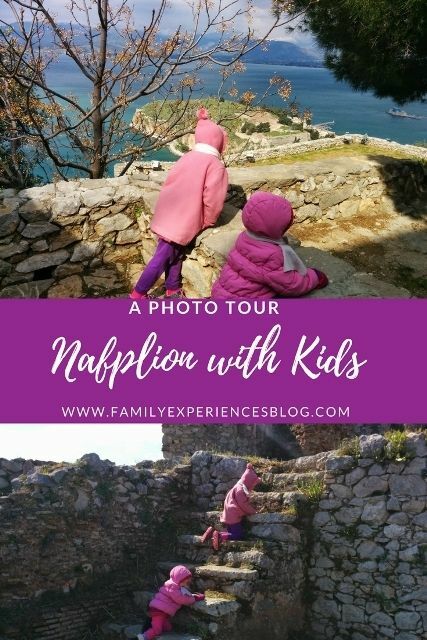 Nafplion was also one of the first holidays that I experienced alone with my kids. The youngest was only a baby at the time. Even by myself with a baby in a stroller and a toddler on my hand, it was a manageable and comfortable vacation that we all enjoyed. 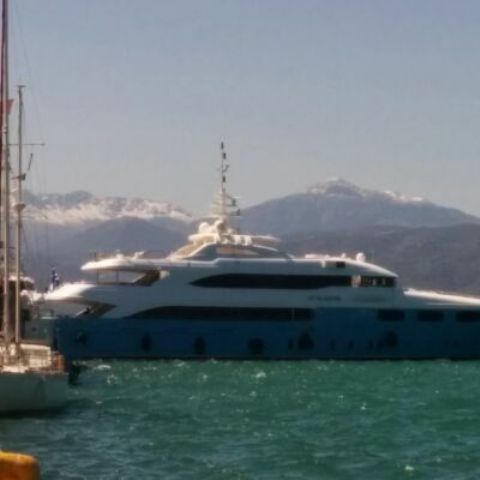 Nafplion is suitable for summer and winter. 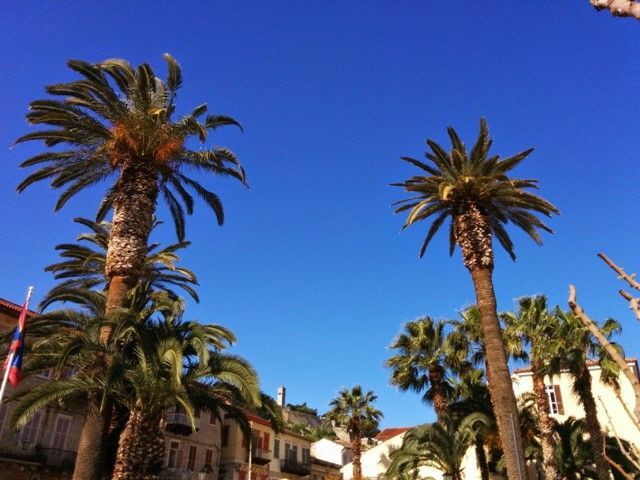 The town has beautiful palm trees and landscaped gardens. In the summer time, the waterfront at the port is full of life and the boulevard is excellent for a stroll and an ice cream. 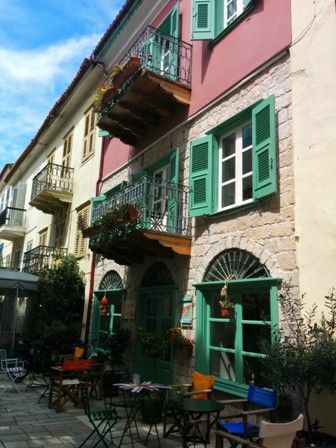 In the winter time, Nafplion offers cozy taverns and mountain excursions. 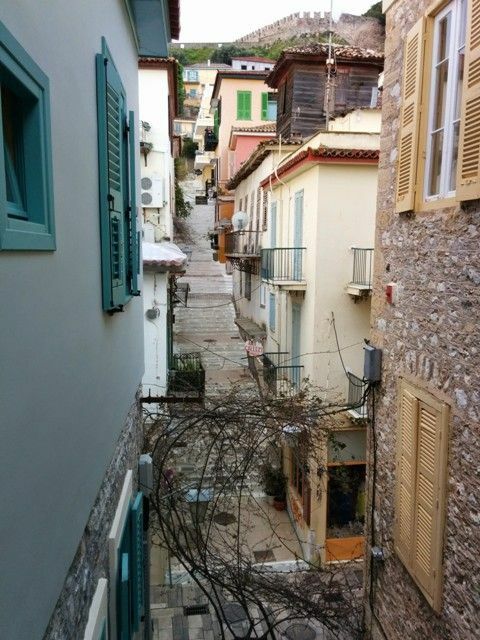 Nafplion is a very pretty little town with lots of colorful streets, picturesque alleys, and corners. The old town is made up of Venetian buildings and neoclassical mansions. A walk around is wonderful for young kids and children in a stroller. The most streets and squares are smooth, many paved with marble and car-free. Show your children local architecture and discover the many ways of building houses and balconies. The classic residences with wooden shutters are fascinating and all children will love wandering around the streets and experience the colors and shapes of the buildings. After two hours by foot, you will have seen most of the old town. History is very visible everywhere in Nafplion. Even if you decide not to visit any museums or sites, the statues, arches and historic buildings will remind you of the towns important historic role. 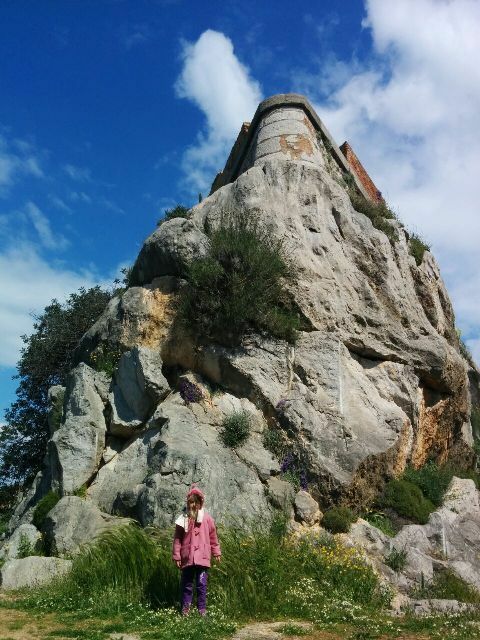 The most important attraction in Nafplion is the Palamidi castle. Families with older children can climb the famous 999 steps up to the fortress. But you can also go by car and park right outside of the entrance to the castle. The drive up is easy and parking is free. A good alternative to the climb! The view from the Palamidi castle is stunning. The castle is NOT stroller friendly. Other attractions in Nafplion are the beautiful cathedrals and the square of Saint Spiridon, the ‘Vouleftikon’ – the building that housed the first parliament of the Greek State – and the Old Mosque. All these are located in the old Town. 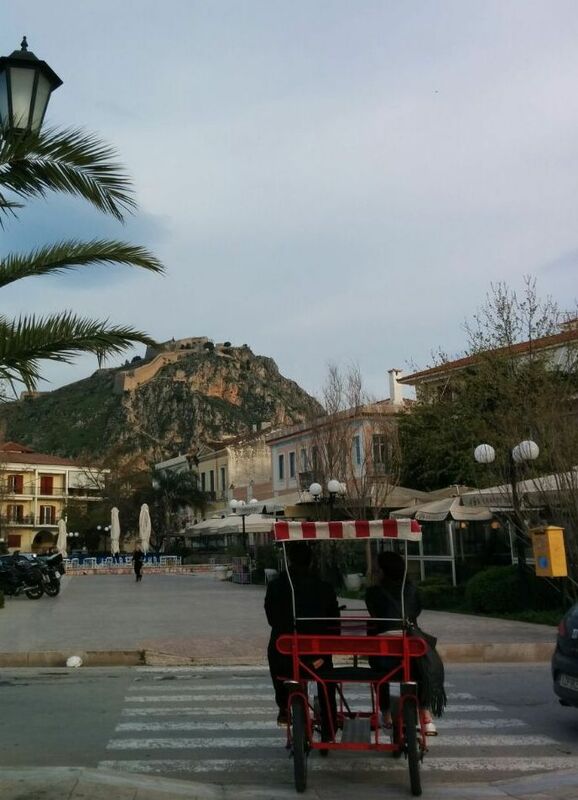 From the central Syntagma square you will need 15 minutes to reach the Nafplion port by foot. All kids love the buzz of ports with ships passing by. 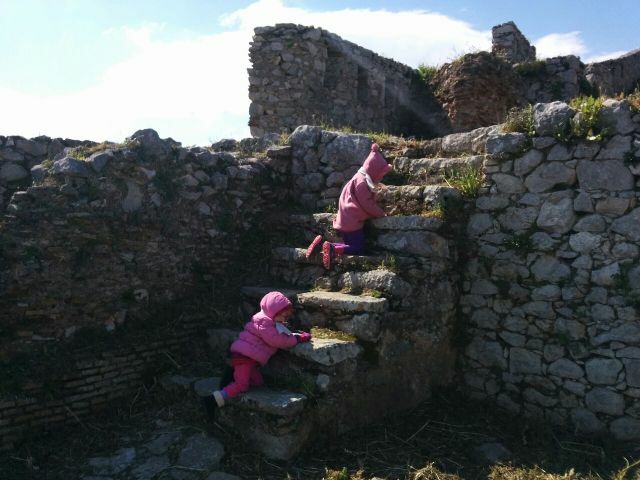 A visit to the Venetian fortress of Bourtzi, the trademark of the city, built on the island of Agioi Theodoroi across the port is interesting for older children. The fortress is reached by a small boat from the port. The Archeological Museum of Nafplion was our favorite. Time periods are very well explained via maquettes and children can really grasp the essence of what is on display. 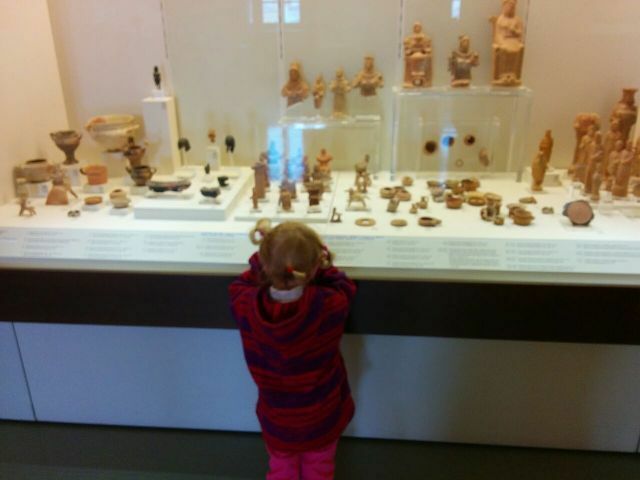 Even the youngest will be fascinated by the ancient artifacts, toys, jewelry and more. The museum is stroller friendly. The museum staff was very friendly. Some of the ancient pots and stones are not protected by a glass wall and therefore supervision is needed. No touching! 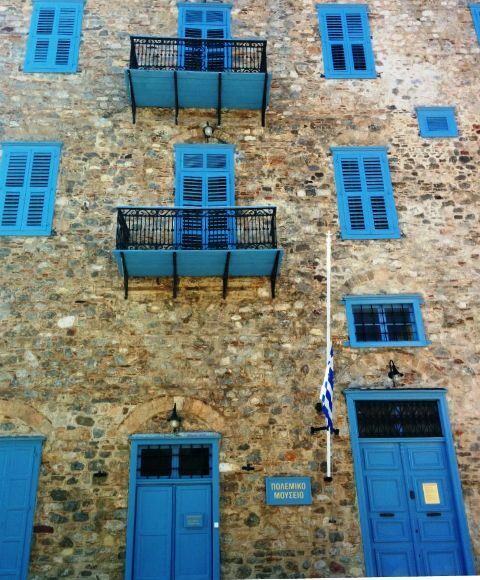 The war museum of Nafplion is located in the beautiful building of the Army Cadet School. The canons outside of the museum will fascinate your children. The museum shows the contemporary history of the Greek state, the participation of the citizens of the Argolida prefecture in revolts, from the Greek Revolution against the Ottoman Empire to the liberation from the occupation troops. There is a big collection of weapons and uniforms. The Folklore Museum “Vasileios Papantoniou” collection covers over 45,000 artifacts related to modern Greek culture, with the emphasis on ethnography, fashion, and children. There are traditional clothes, toys and tools. 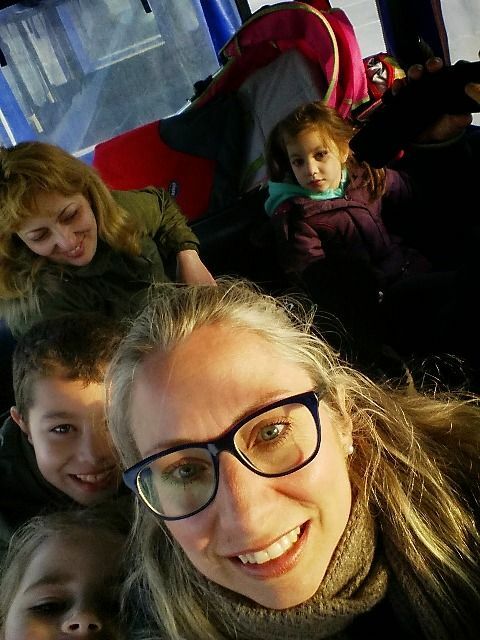 Kids can see and learn about the life in the Peloponnese and in Greece in general. If your kids are old enough to handle a family bike, a city tour with one of these is a great way to explore! The children and I took the little street city train instead. I don’t remember the company name but there are a few different trains on wheels, all starting from the port. We folded the stroller and took it with us on the street train. The train is slow but passes from most of Nafplion’s highlights. it is covered with plastic windows and it was not cold in the winter time. 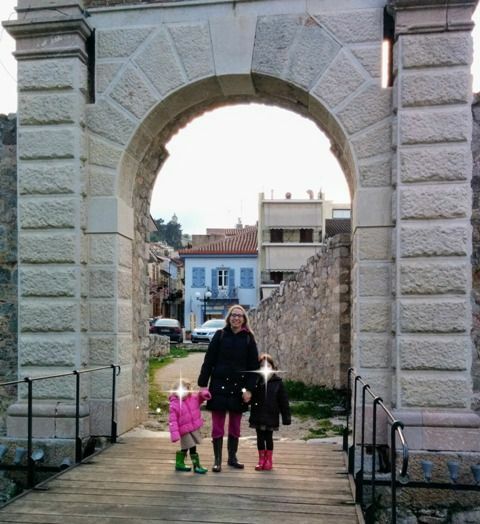 The old city walls in Nafplion offer a lot of fun. 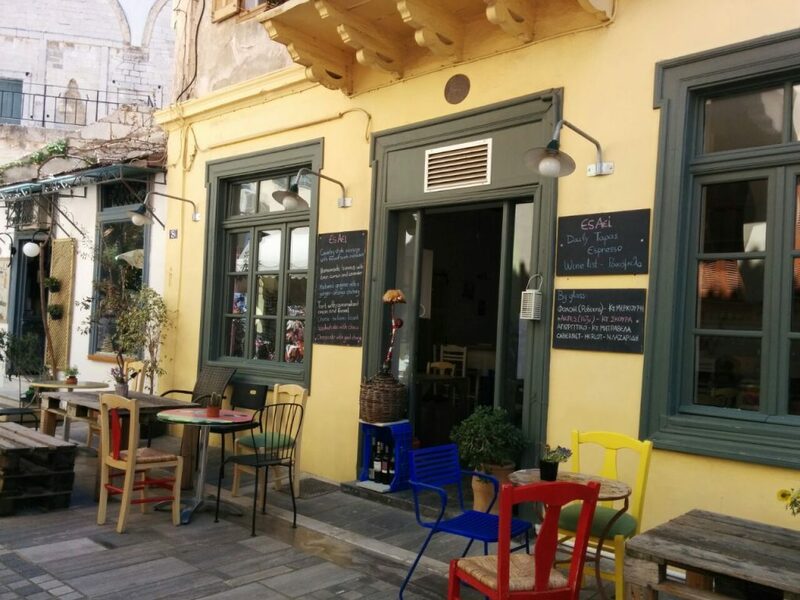 My favorite child-friendly place in Nafplion? The Syntagma square in the Old Town. It is large and car-free. It is surrounded by the archaeological museum, many cafes and a restaurant. You can relax and have a coffee while your kids are playing near you. This photo was taken at night, I loved the fact that there were still lots of families and children out. 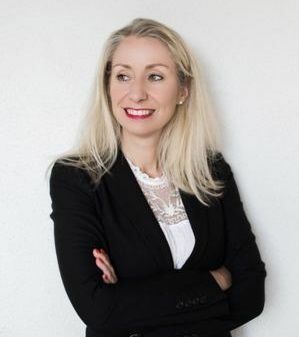 A few words about accommodation; There are several hotels‬ and ‪guesthouses‬ that offer‪ family rooms‬ and apartments in Nafplion. Both in the Old Town and in the New Town. If you decide to stay in the new part of Nafplion, you will need your car or transport to get to the picturesque Old Town. Most accommodation in the Old Town are in boutique style, most in old mansions (without elevators). Some are located around the main square and others are uphill. You need to check this. Because many require steps up and down (think stroller!) to be reached. 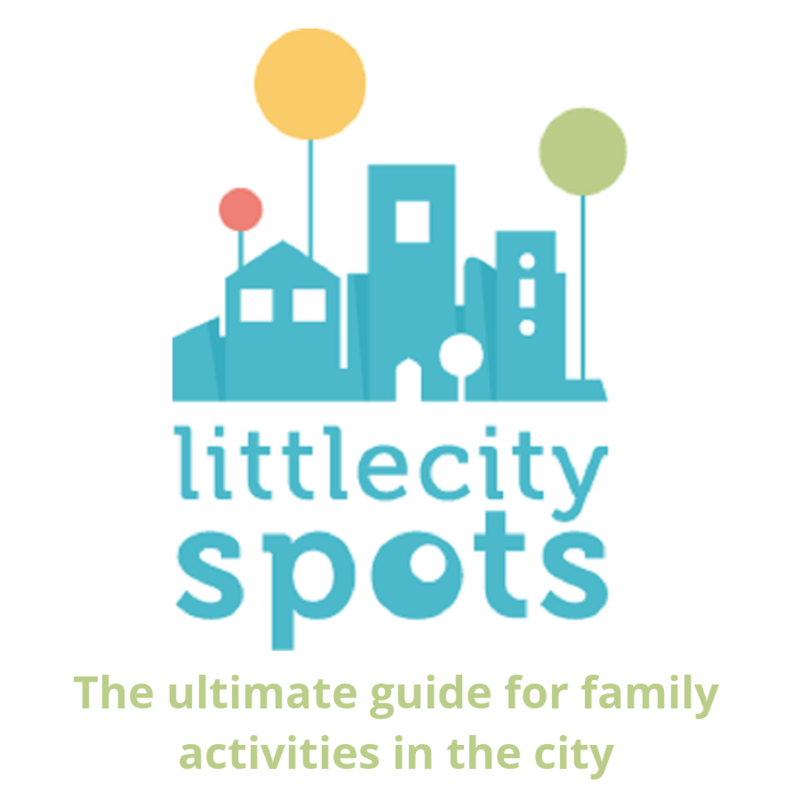 If you have young kids and strollers I would recommend you to stay in an accommodation near the square and/or main streets to avoid carrying the kids/stroller up and down. 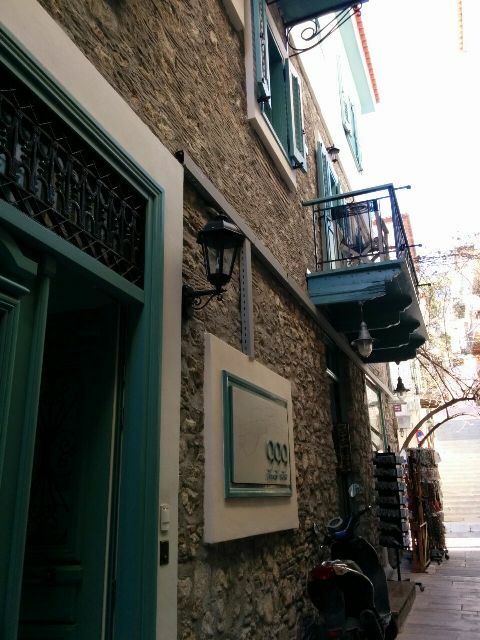 I recently stayed at boutique hotel 999 Luxury Hotel Nafplio. 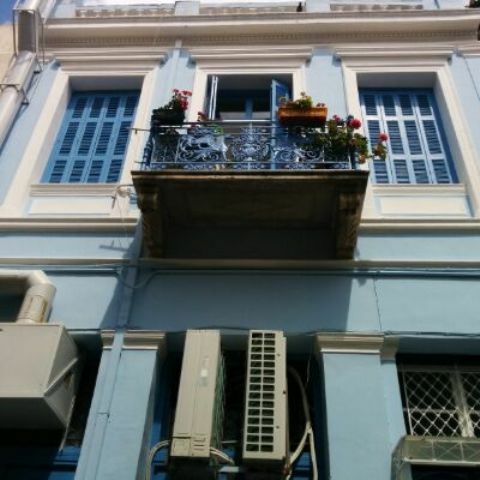 It is centrally located on the Staikopoulou main street of the Old Town. There is a staircase at the reception area but I left our stroller downstairs and my kids were able to walk the stairs. The hotel was very inspiring, clean with family rooms (without balcony) and also baby cots and high chairs. For information in English about Nafplion please visit the website of the Nafplion municipality. 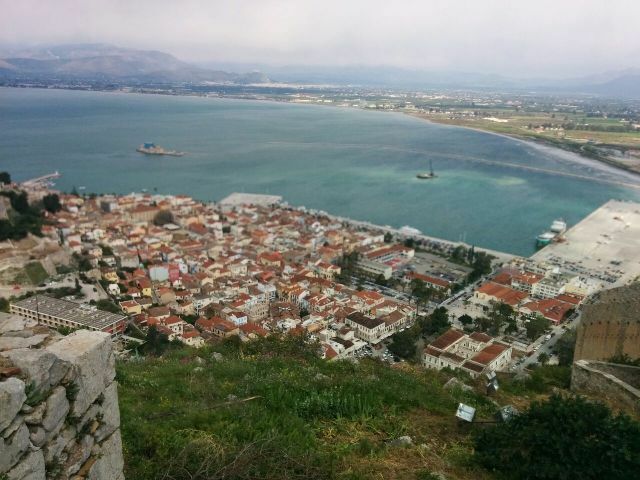 Have you been to Nafplion and what is your favorite family activity ? Have not been yet? Pin it for later! Nafplion is very family friendly and suitable for a day trip from Athens. Need more inspiration for day trips? Check out my post on Hydra island.